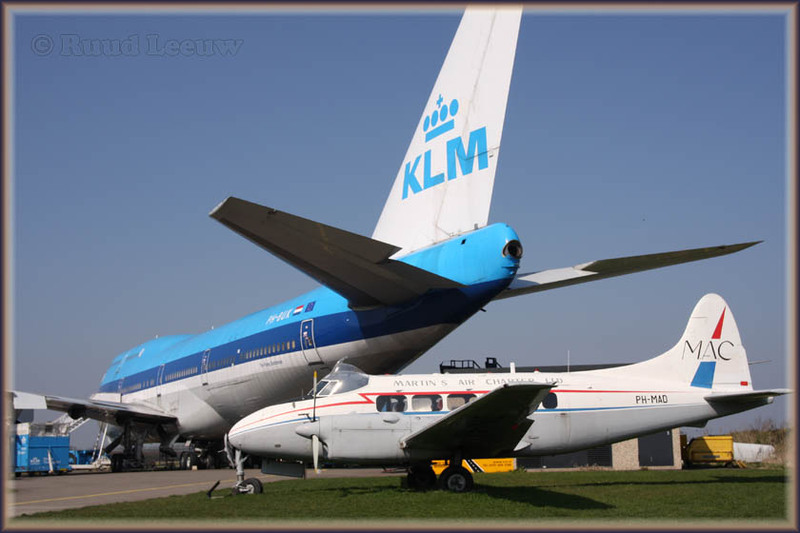 KLM (actually Air France-KLM Group) became full owner of Martinair (formerly know as Martin's Air Charter) on 01Jan09, so these two fit nicely together. 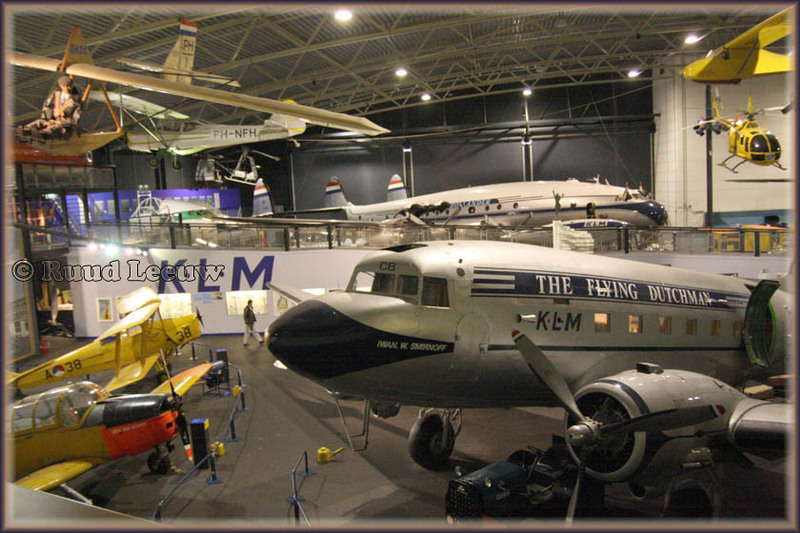 Schreiner Airways is a less familiar name in Dutch aviation history, but significant nonetheless. repainted to resemble the character Blade Ranger in the film. 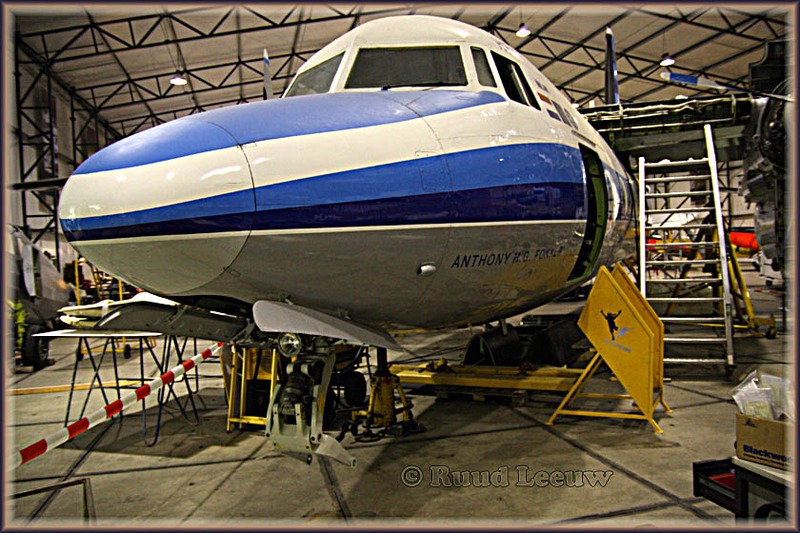 Schreiner Airways was a charter, passenger and cargo airline based in the Netherlands. It was founded in 1945. 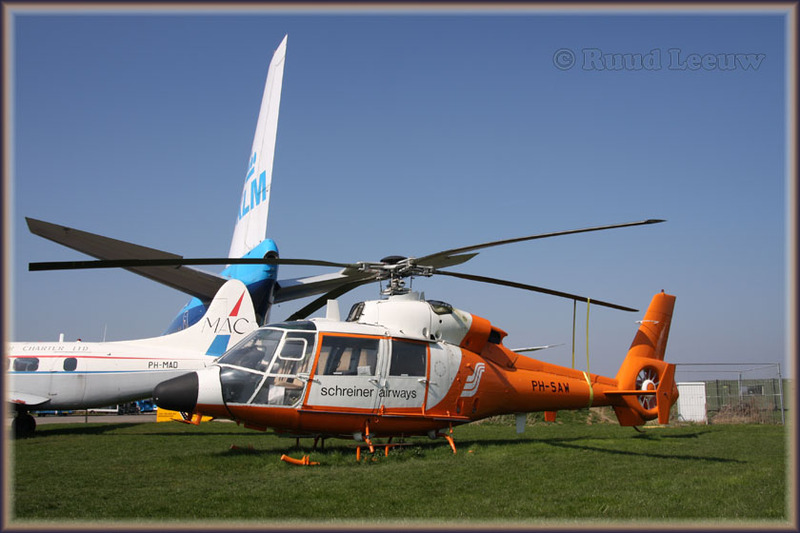 The various flight operations were split amongst several companies of the Schreiner Aviation Group, such as Schreiner Airways, Schreiner North Sea Helicopters and Schreiner Aviation Training. 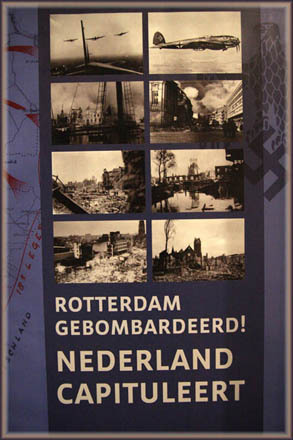 Scramble.nl has more info on its history. A rather strange display has been left here.. It seems it is or was owned by Van Vliet Trucks and used to tour the UK when owned by the RAF (Nimrod MR2 'XV238') for promotional duties. 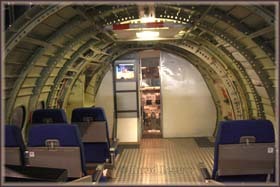 Before that it was a 'procedures trainer' and before that a deHavilland Comet 1. It has been identified as G-ALYW, Comet 1 c/n 6009. 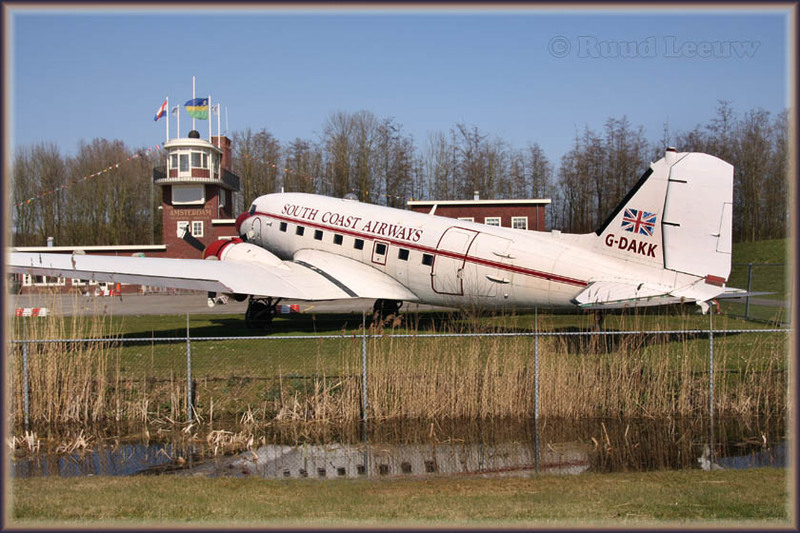 DC-4 'NL-316', ex/ ZS-IPR (history details on my december 2003 report). 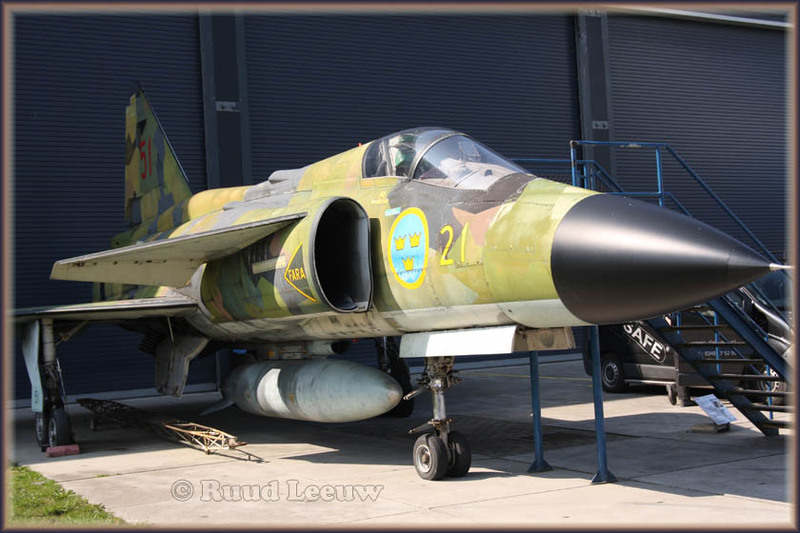 The Saab Viggen was a contender for the F-104 Starfighter replacement with the Royal Dutch Air Force. It lost against the General Dynamics F-16. 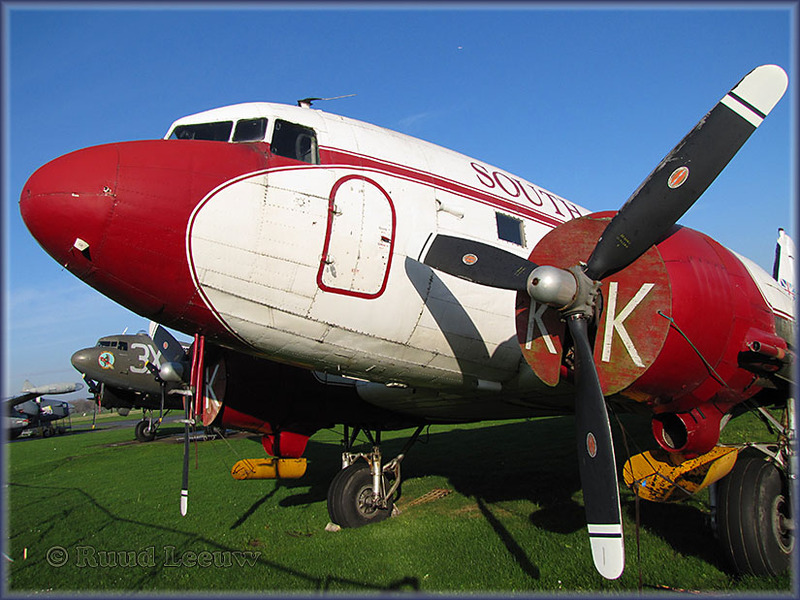 G-DAKK is a guest here, with an 'indefinite stay'... and for sale. And gone since 2013! 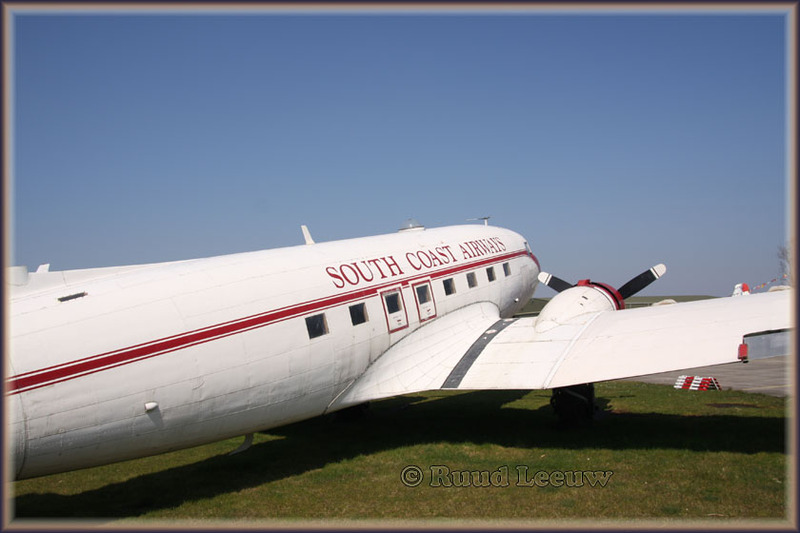 More on my South Coast A/W page including the above 2017 update! Hawker Hunter F.51 WV395/69, which enjoyed an active career in the air force of Denmark. 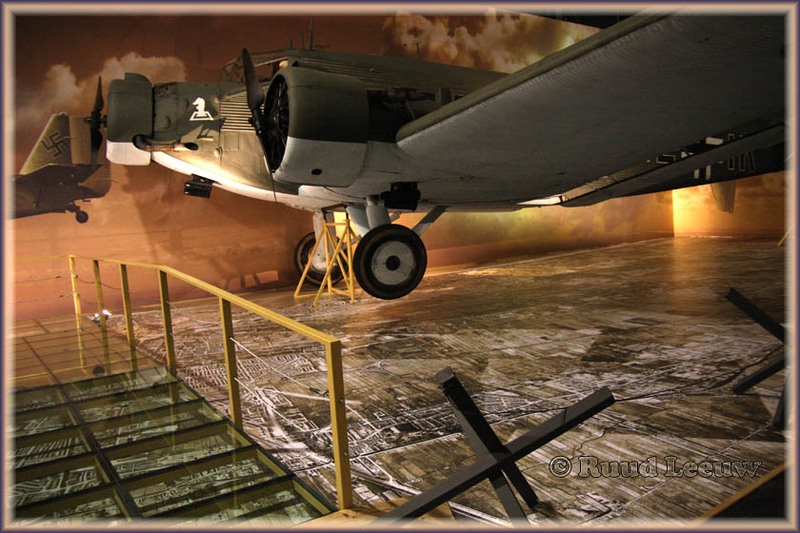 It was previously displayed inside the museum. Bowers Fly Baby 1B PH-CVH (c/n 3), amateur-built. 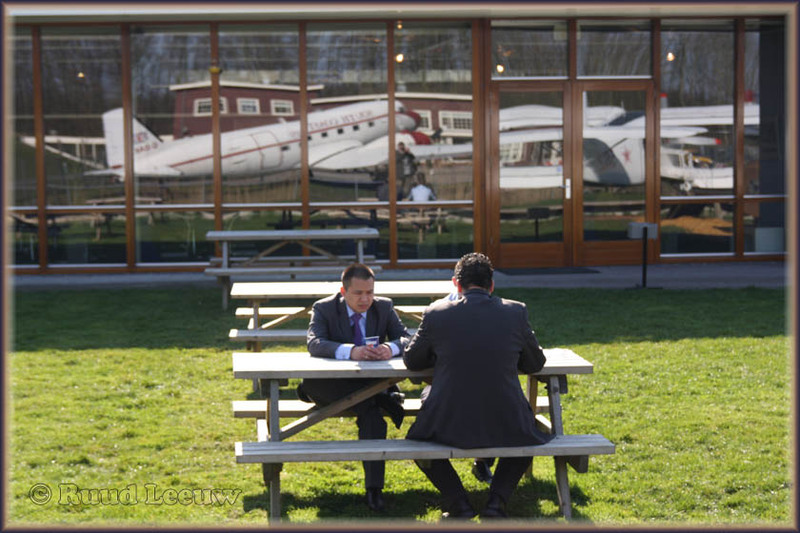 I was happy chatting away with Tom Beudeker, who was working on the Connie. Tom had sent me photos for my website. 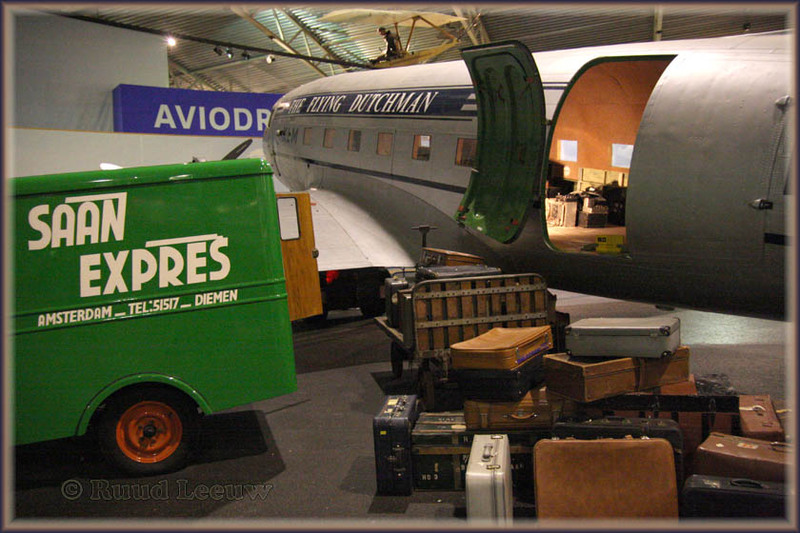 I mistook him for a KLM engineer, but he appeared to be a KLM commander on the Boeing Triple Seven! 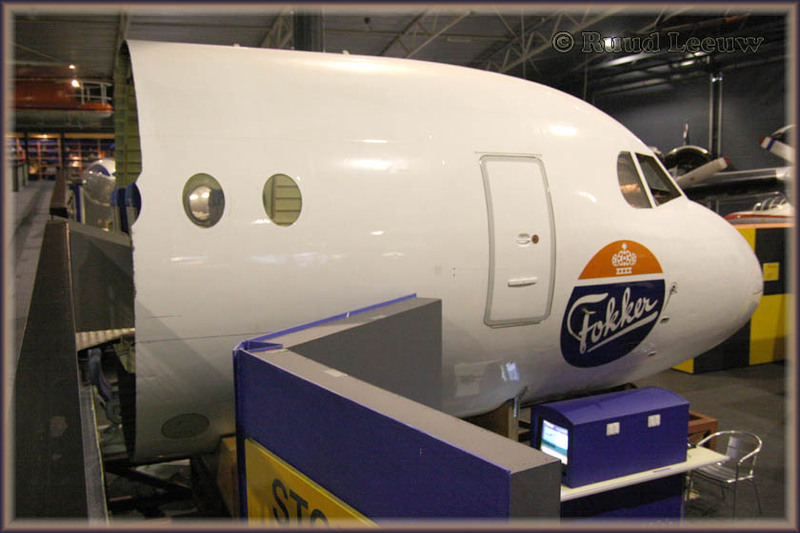 His technical background is a career as a flight engineer with KLM, but he became a pilot (at first on the Boeing 737). 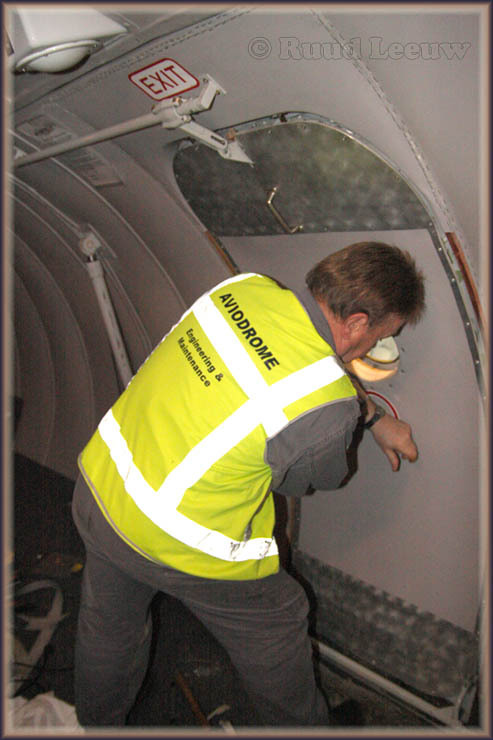 The Aviodrome is looking for more volunteers with technical skills, there is plenty of work to be done! 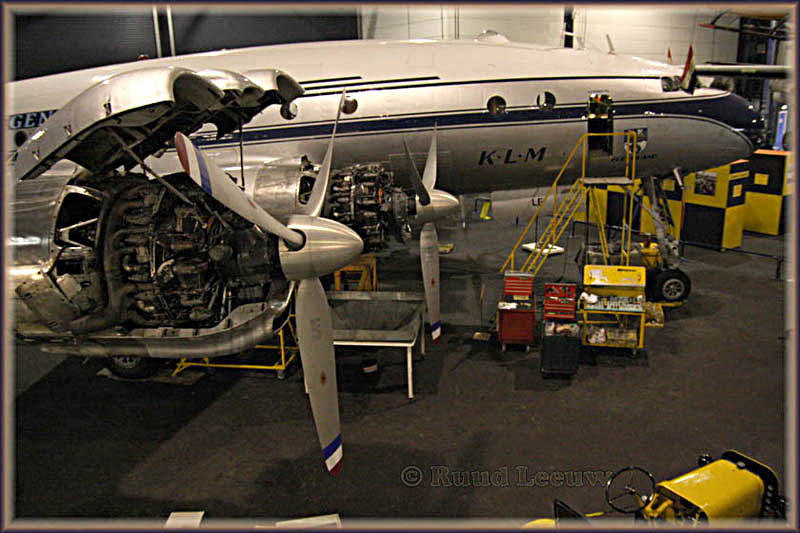 The problem concerning licences and recurrent training for the Flight Engineer have been resolved and 2009 will be the year the Dutch Connie takes to the sky again! 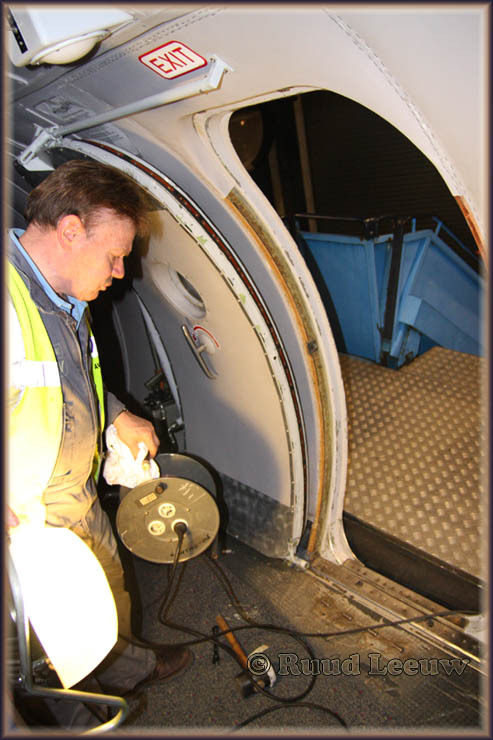 To prevent wear and tear on the door, a modification on original specification has been carried out by Roelf Akkerman, to have the door slide in and out. This work was in its final stages (the interior needed some touching up) and it was demonstrated to me by Roelf. It worked great, well done! 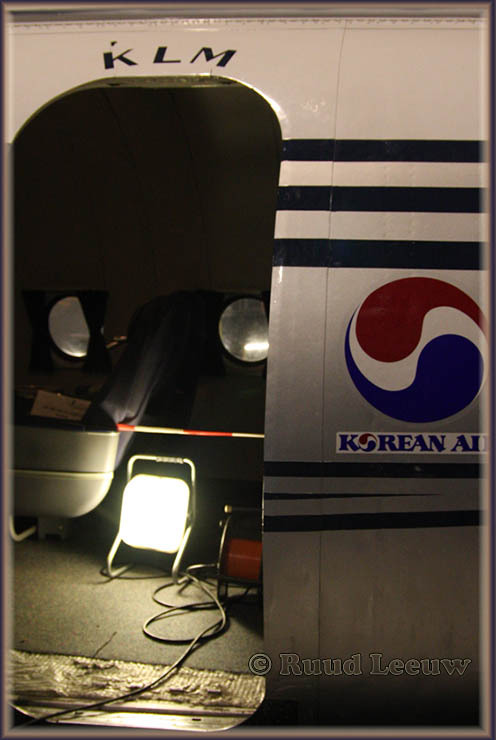 The Korean Air badge on the fuselage is part of the deal concerning an exchange of engines. It takes quite a bit of careful manoeuvering to get the Connie in and out of exhibition area! 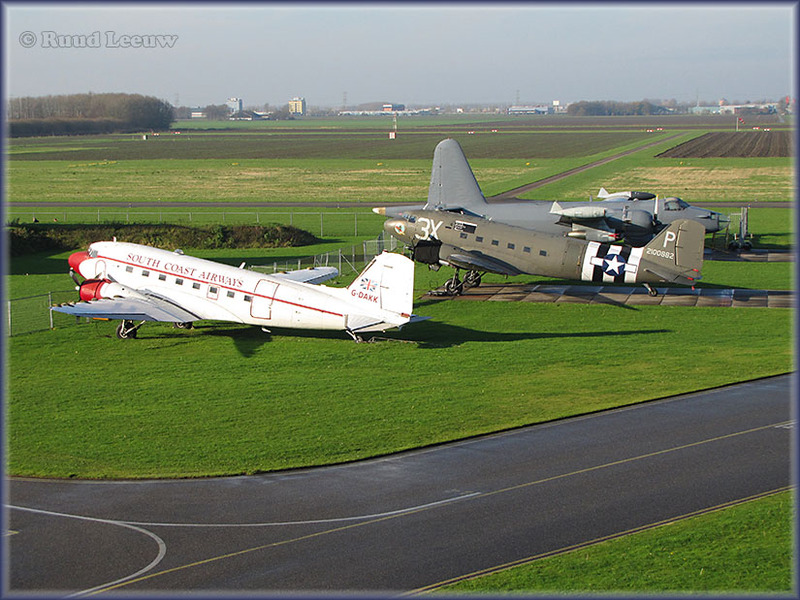 This light plane was the first executive aircraft after WW2 here in the Netherlands. It was owned by Ir. F.J. Philips and registered as PH-LPS. 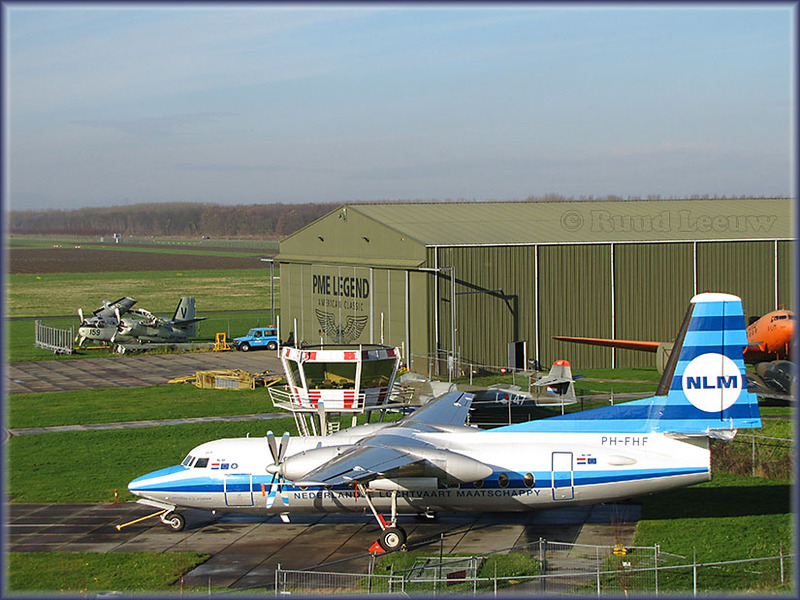 It was restored by 'Philips Vliegdienst' after it had been acquired as PH-NFH and donated in 1977 to the Aviodome (now Aviodrome). 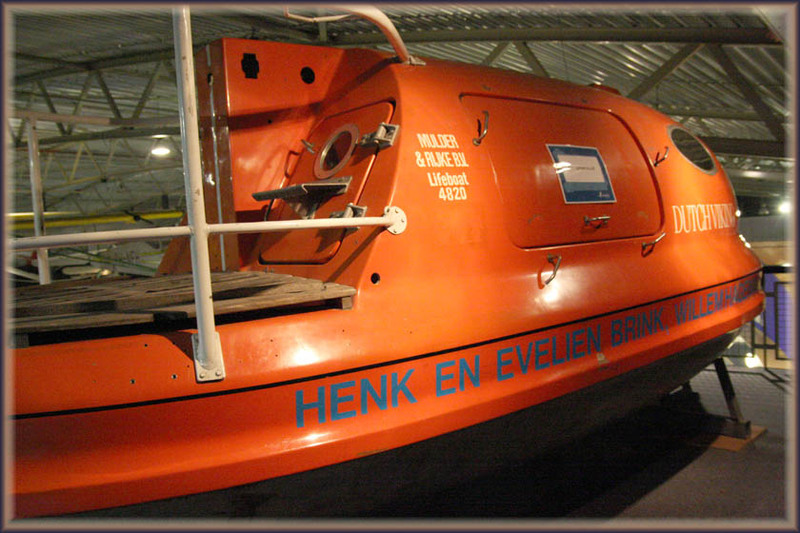 31Aug1986- Dutch balloonists Henk Brink, his wife Evelien and Willem Hageman, launch The Dutch Viking, a Roziere balloon from in an attempt to cross the Atlantic. 51 hours and 14 minutes later then land in their home country of Holland becoming the first Europeans to cross the Atlantic by balloon. PH-TCB, details on its history can be found on my 2003 report. 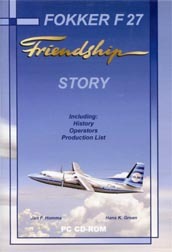 The first complete 'complete' story of the famous Fokker turboprop! 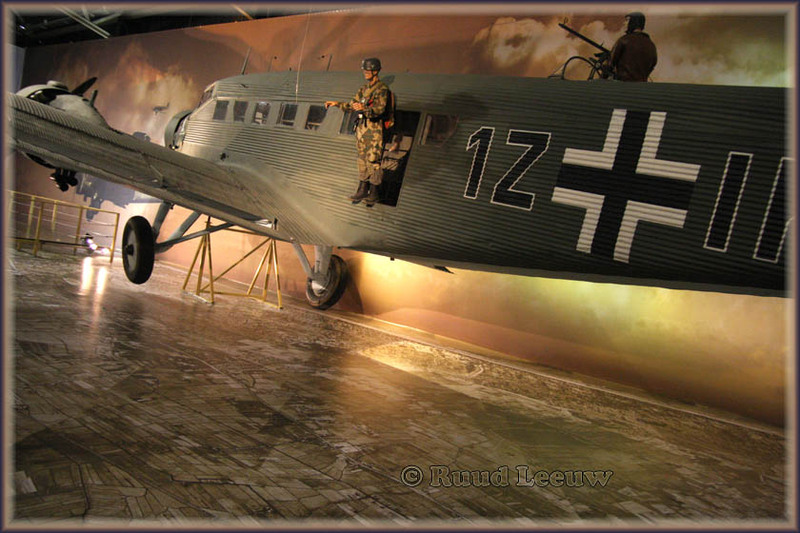 The Junkers Ju-52 display has become quite something! It isn't finished yet (matter of weeks), because the lighting will be improved and that immense photo on the ground will get labels to be able to orientate what is where (it is the area of The Hague). 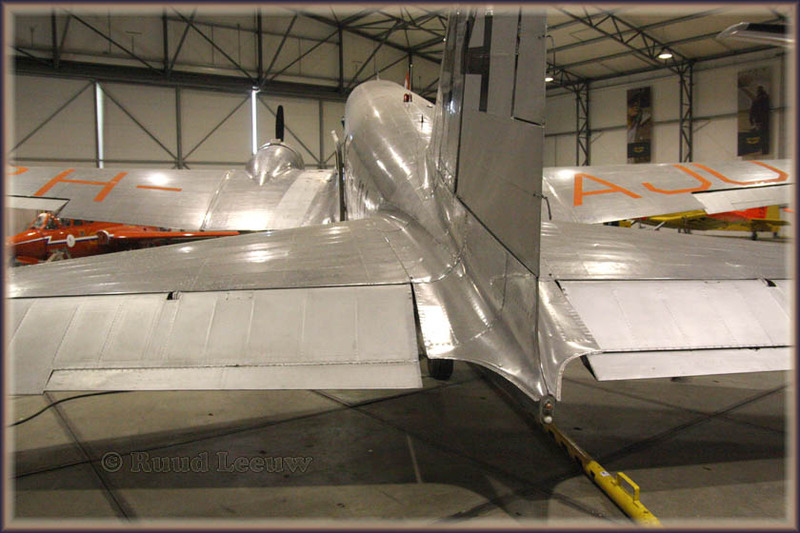 Details of the history of this aircraft can be found on my Aviodrome 2007 report. It certainly shows work in this museum is being done all year round, the museum has a productive and enthusiastic volunteer workforce. I think the murals are fantastic! 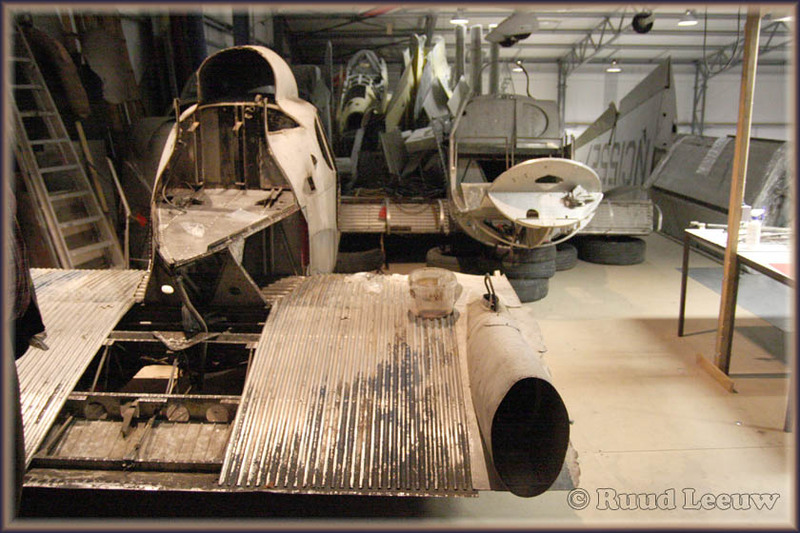 This Fokker C-5D biplane needs a little attention. 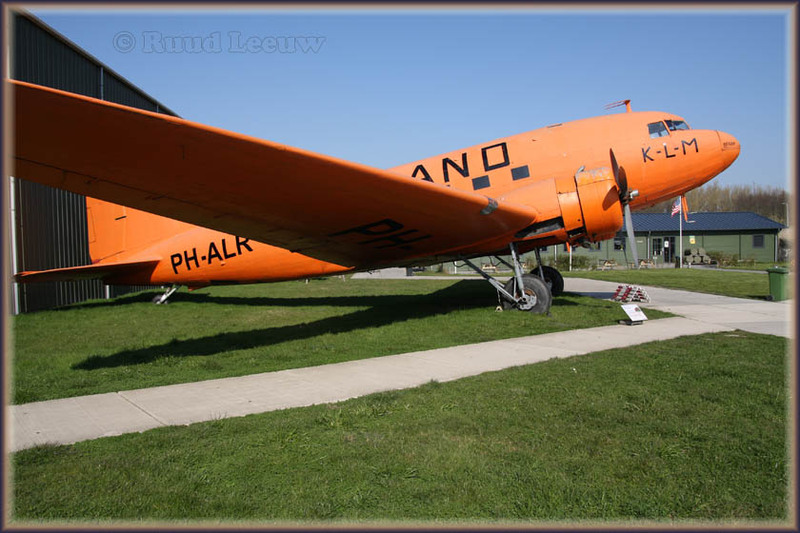 This Fokker C-5D was built in 1925 for the Dutch 'Luchtvaart Afdeling' (Aviation Department, for lack of an air force as yet). 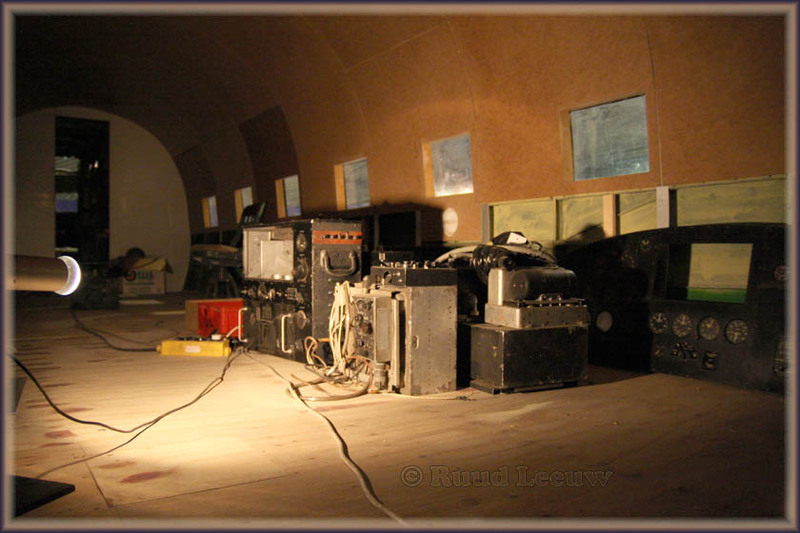 It survived WW2 as an instructional airframe at the Technische Universiteit in Delft. 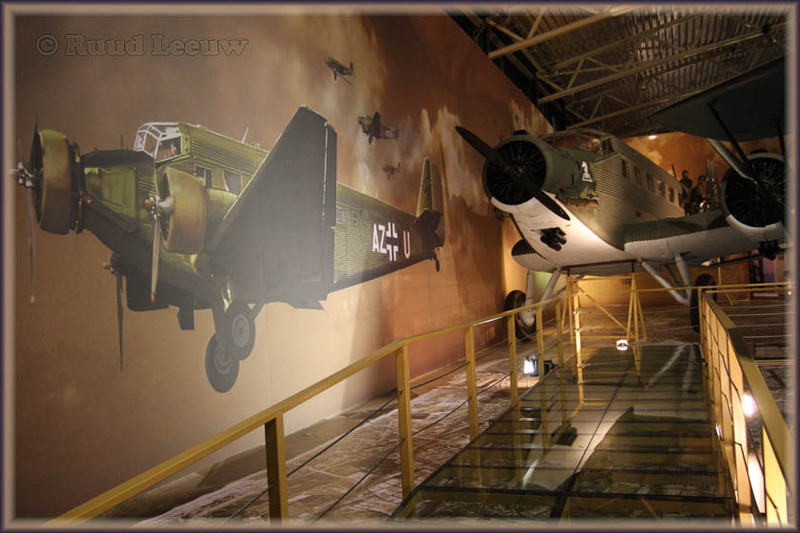 The C-5 was Fokker's military aircraft built in the highest quantity. 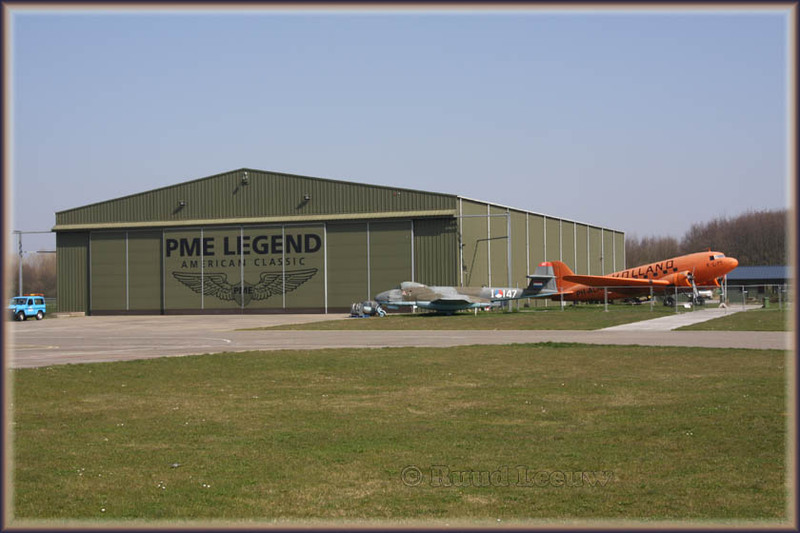 It is on the project list of the museum but will need to await its turn. 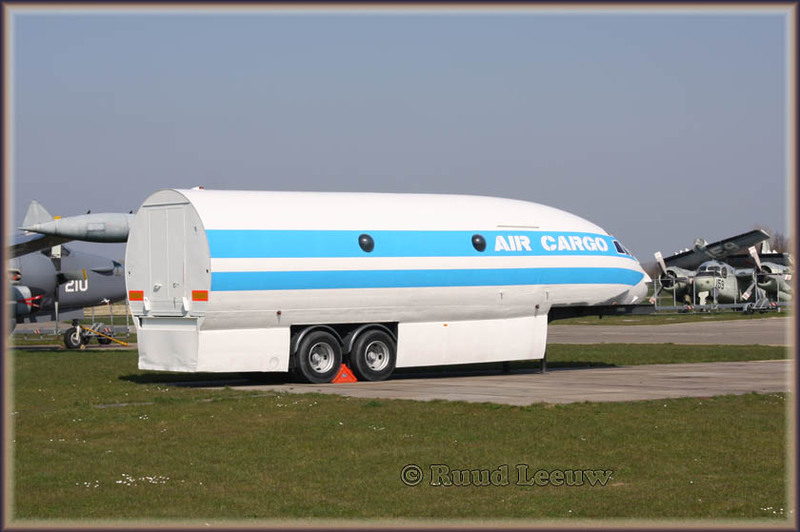 The target is to have this aircraft flyable (!) by the end of this year.But in 2014 it was still quite unfinished. 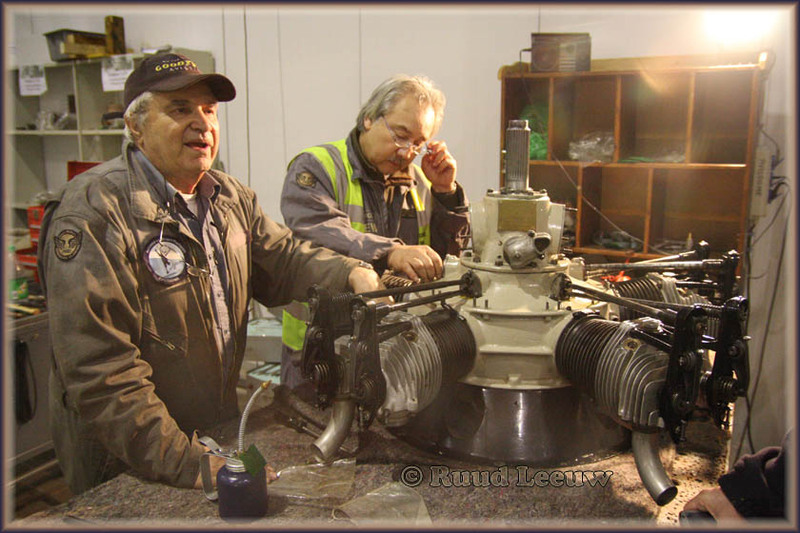 To have the Fokker S-IV fly again, the engine is of course a vital part! 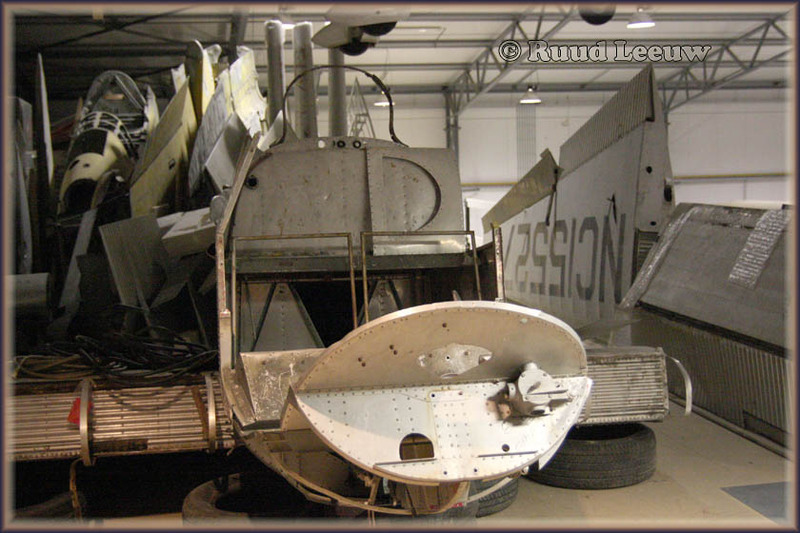 A stroll to the other side of the museum... Another place where modifications and restorations are in full swing. 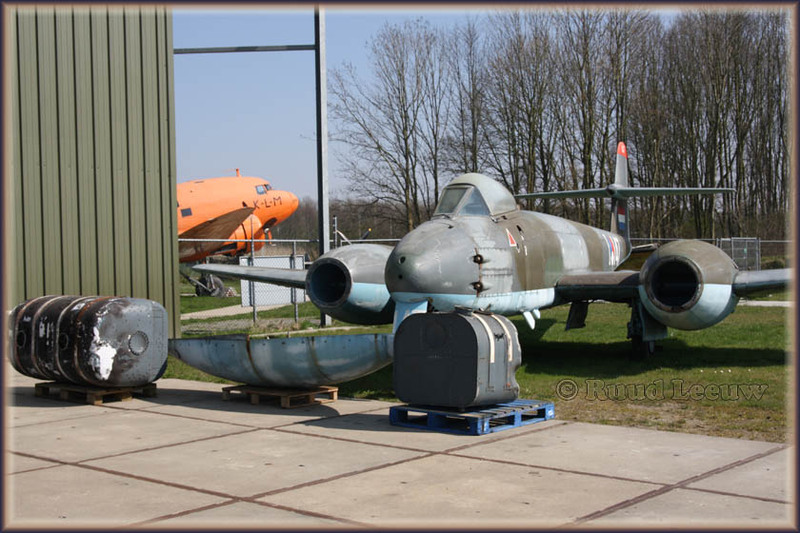 The Gloster Meteor was donated by a privat owner, when display of this aircraft at Hoogeveen on a pole proved too ambitious and expensive; the future of this aircraft turned bleak.. Then this owner stepped in, bought it and promptly donated it to the Aviodrome. On 17 February 2009 this Gloster Meteor F.8 was donated to the Aviodrome Theme Park Museum. 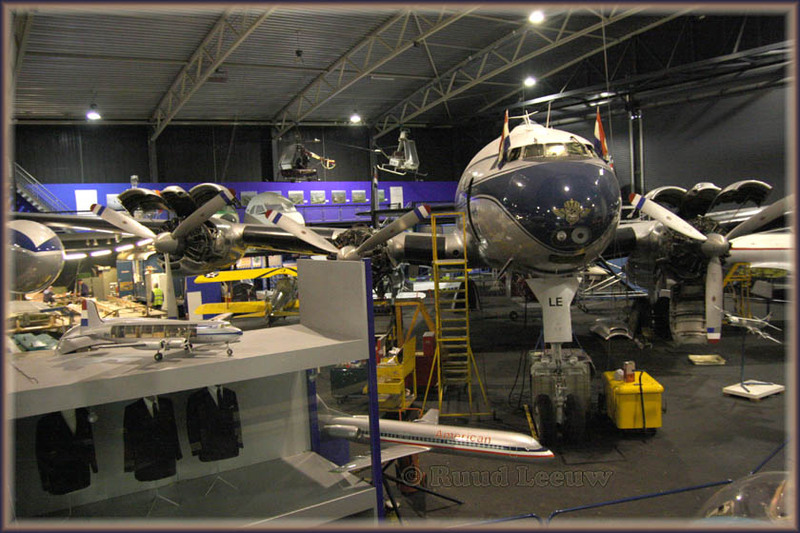 It was donated by mr. Aart van Wijk, a former Meteor pilot. 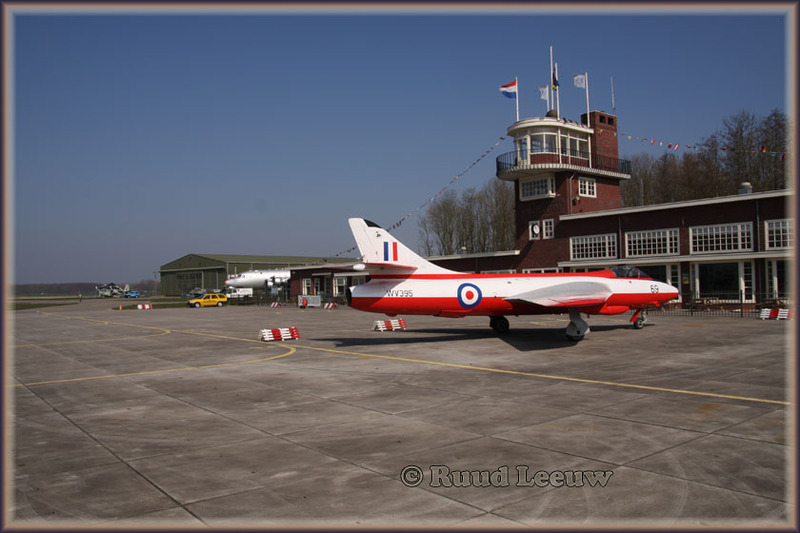 The Meteor F.8 served at the Koninklijke Luchtmacht (KLu) until it was phased out in 1958 when it was succeeded by the Hawker Hunter. 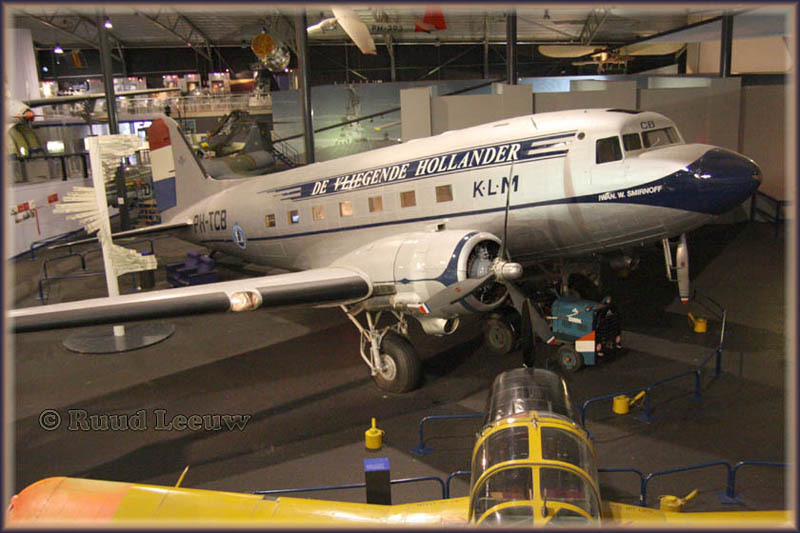 The Meteor donated to the museum was built by Fokker (c/n 6466) and supplied to the KLu in March 1953 with registration I-187. 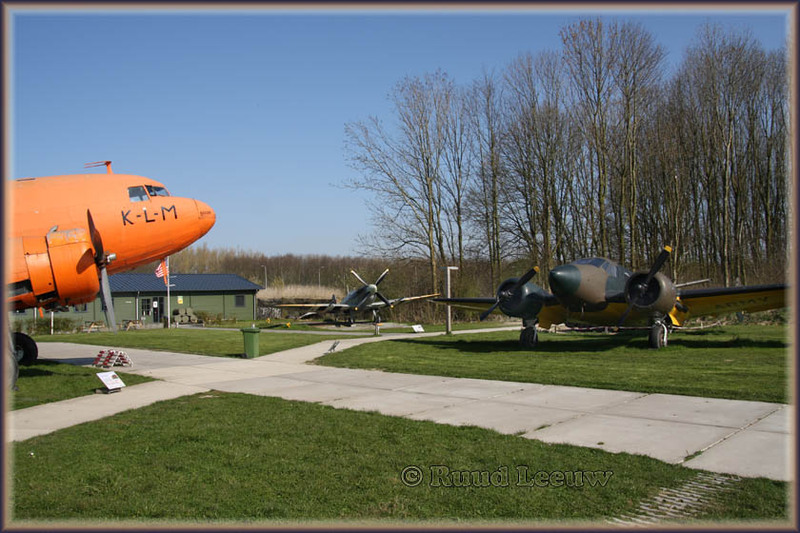 When the Meteor F.8’s were phased out it escaped scrapping because it was used as an exhibit plane near the pilot’s monument on Soesterberg airbase. 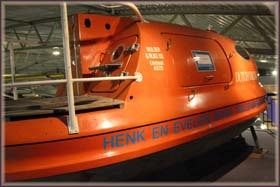 Here it was displayed with its current registration I-147 until 1995. 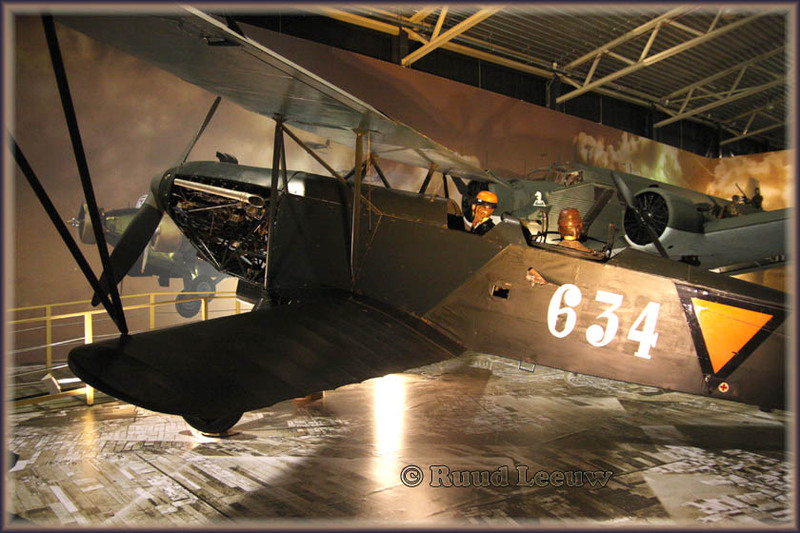 From 1995 it was stored at the airbase, but 2 years ago it went to the company ATN Aircraft Division at Hoogeveen airport as part of the payment for restoration work on a Tiger Moth. 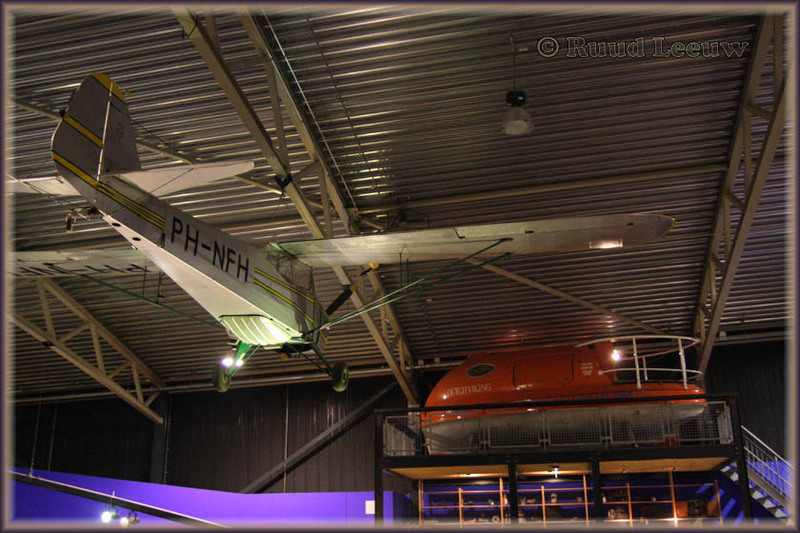 The 'Vriendenkring van de Aviodrome' ('Friends of the Aviodrome') bought in 1999 a Piper J3 Cub for the Aviod(r)ome. 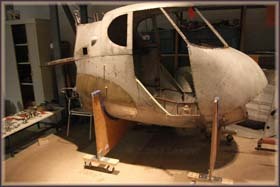 It hung for years on the ceiling in the exhibition area and later it changed places with the Auster (above) and restoration work started on the Cub. 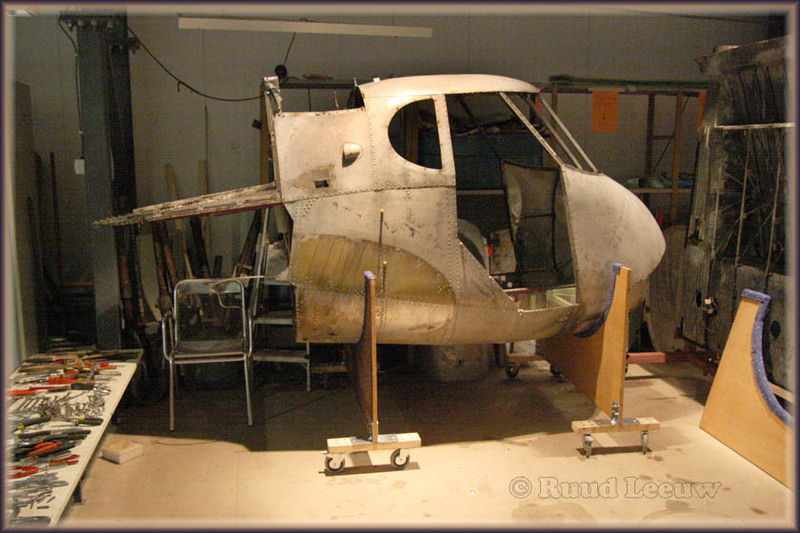 On 21Mar09 there was reason to celebrate: the Cub went airborne after years of work! 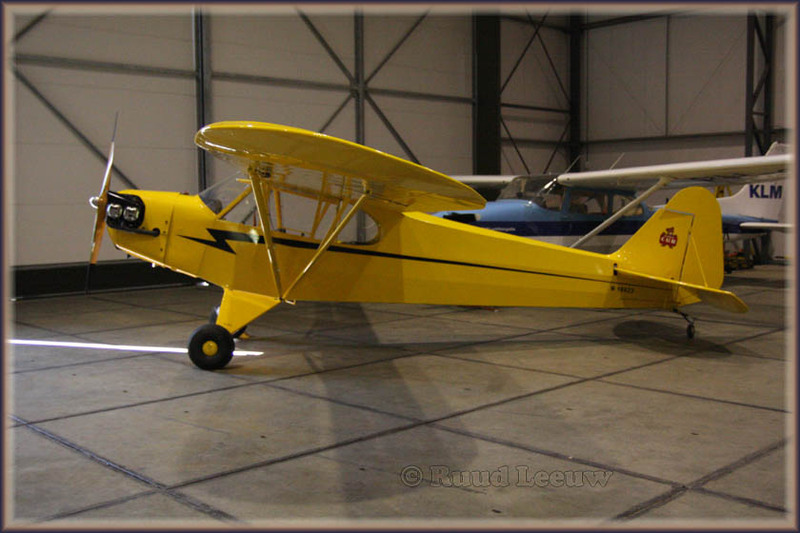 This Piper Cub was built in 1940 and delivered on July 09th and was mainly used as a trainer. Its last flight before preservation was made in march 1988, in Californië. Its present tailnumber is N16623. 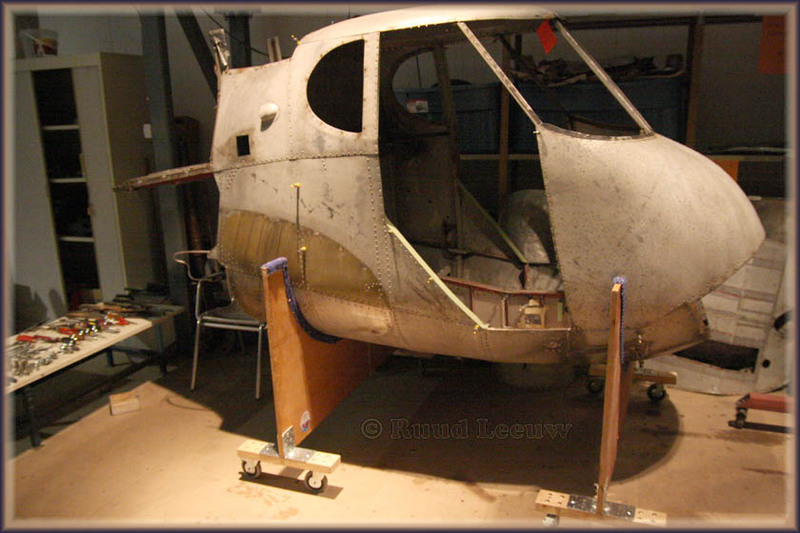 To start the engine takes a little work as it isn't equipped with an electric starter: you have to swing the prop! me on my 2018 guided tour in the T2 hangar. 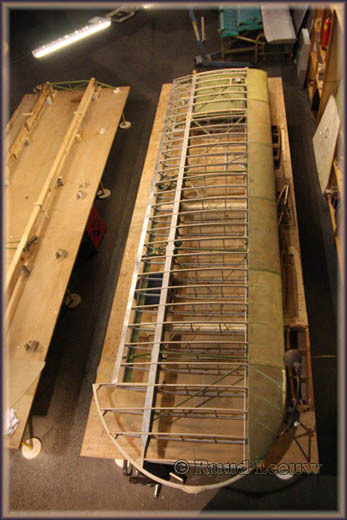 The wing of the Norseman is being worked on in the main exhibition area. Work during the early stages can be seen on my 2007 report. 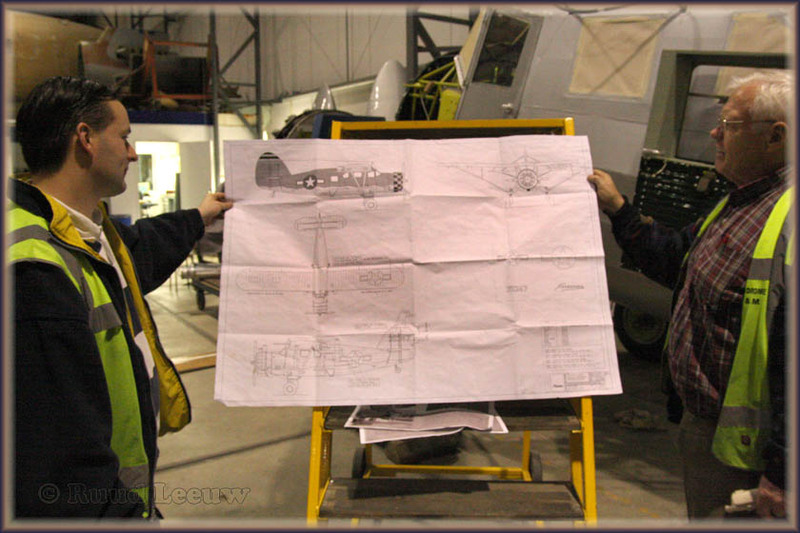 Raymond Oostergo (left) and Joop Boon (Aviodrome volunteer, retired after a long and fruitful career with Martinair as a flight engineer) hold up the detailed drawing showing how this Norseman will look when restoration is completed. 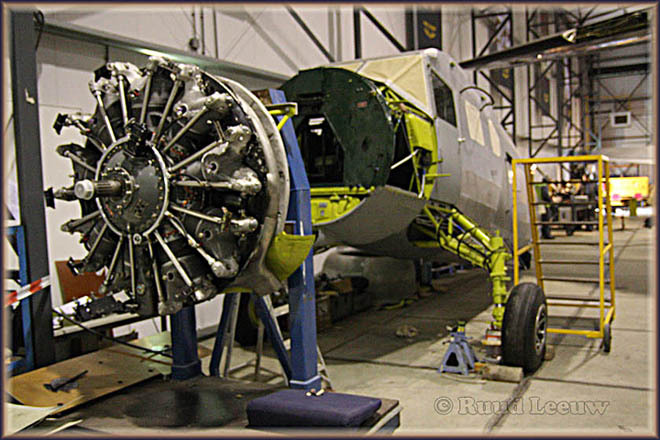 This project will see a Norseman restored to wheels and equipped with cabin seats, making it even more rare! 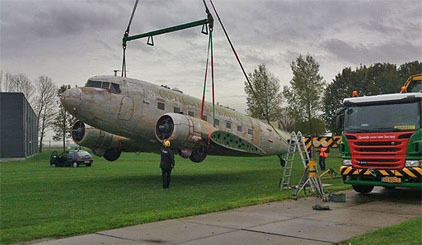 Douglas DC-2 'PH-AJU' is almost ready for the new season. 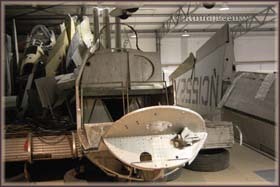 Fueltanks have been refurbished in Germany and should be reinstalled any day. 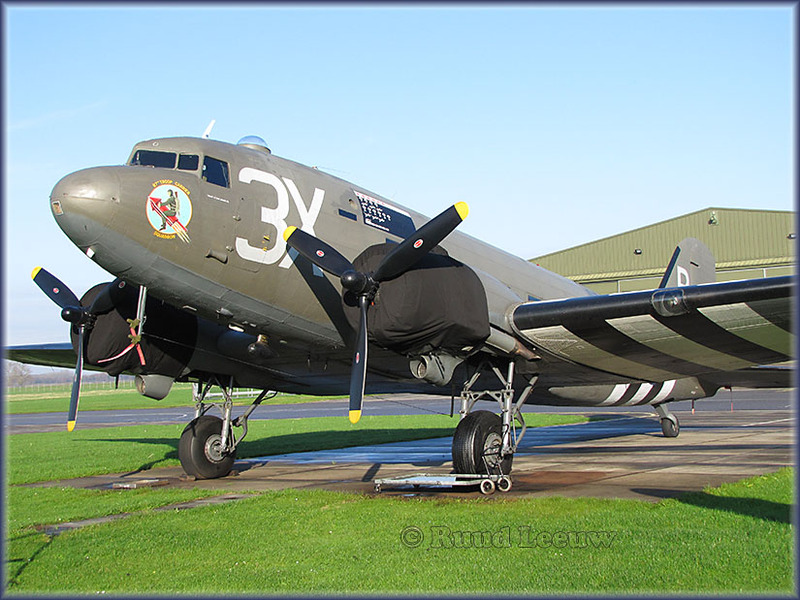 The 'Uiver' will have a busy season ahead, joining many national displays but will also travel abroad. It is the only flyable DC-2 in the world! 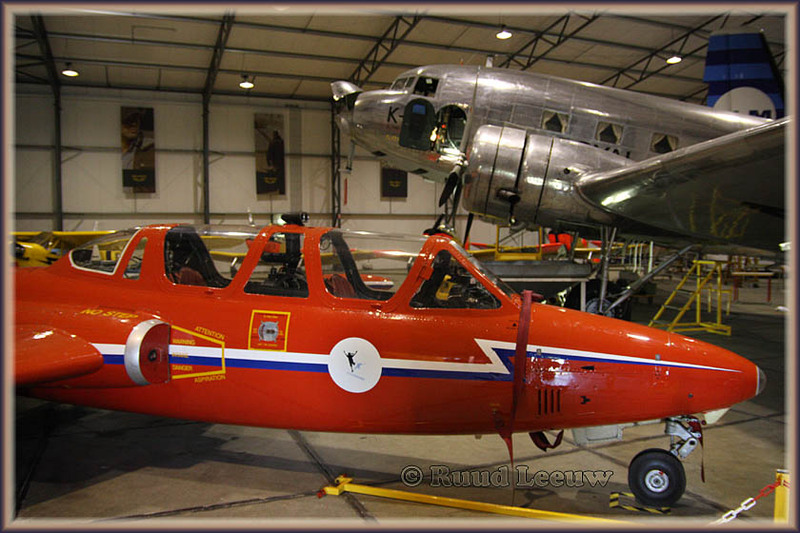 Showing the variety of aircraft on display; a Fouga Magister. It is also flyable. Note the Aviodrome sticker. 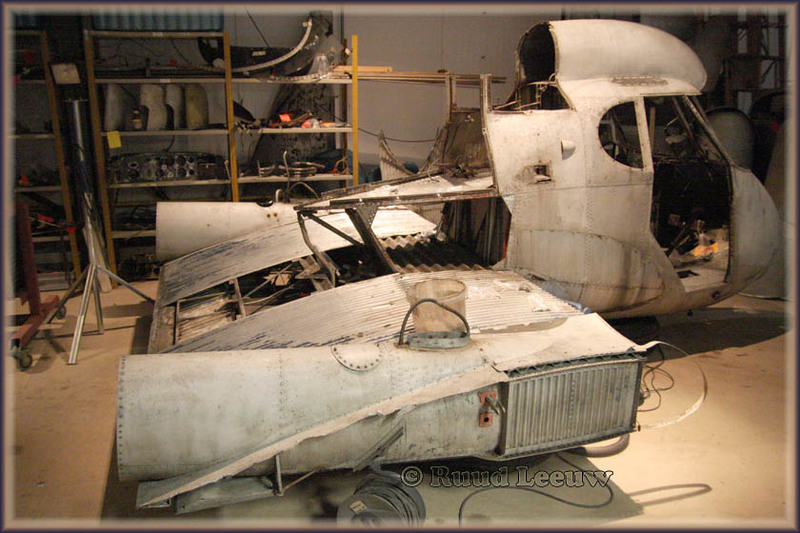 Three airframes were discovered (there is no other word for it) near Buffalo (NY) and await in a dismantled state an ambitious project: one should be made airworthy while another will be restored for ground display! Work has already started, but it will take years to complete. 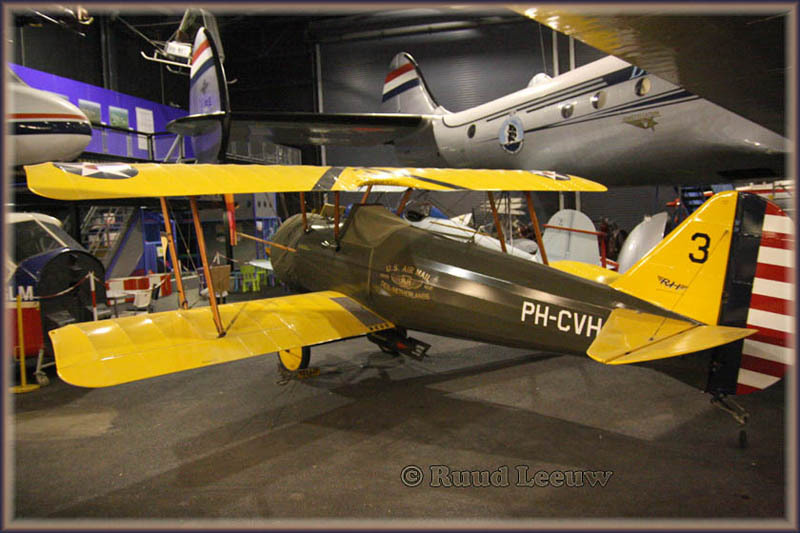 The Stearman-Hammond Y saw use as a trainer with KLM Royal Dutch Airlines; it had a push prop and a tricycle landinggear. 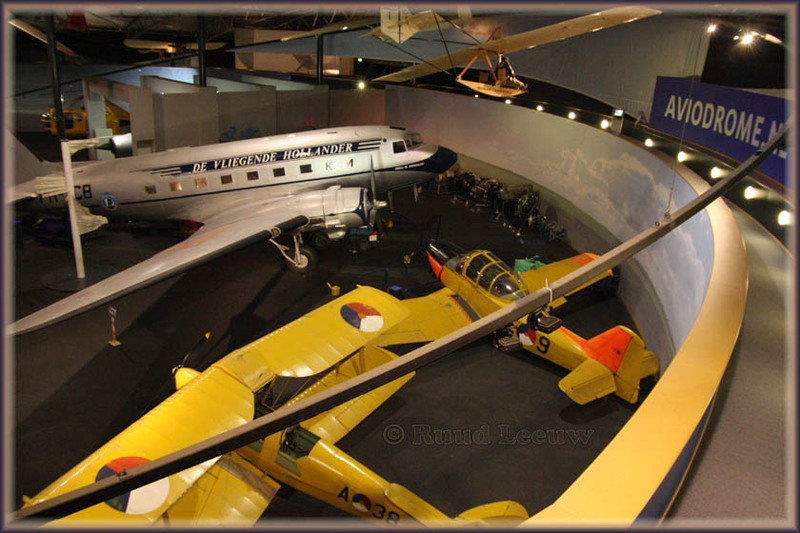 Only 5 airframes are known to have survived and 3 have found a new home at the Aviodrome! 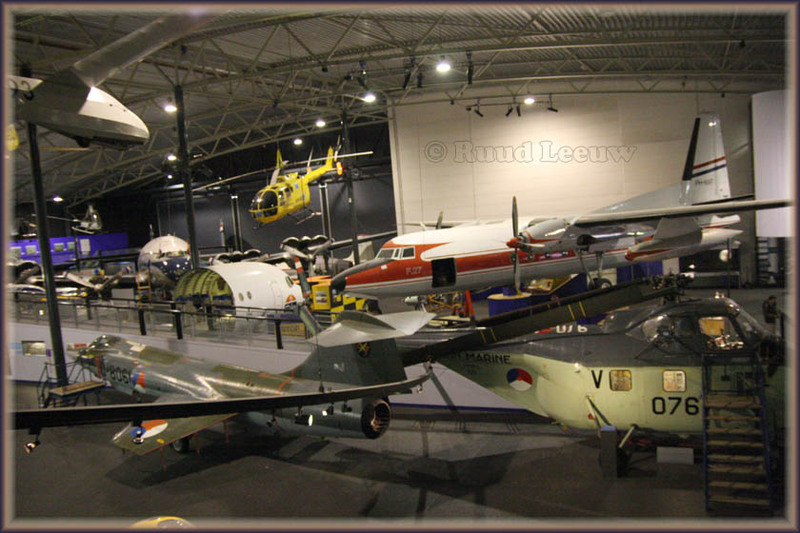 In 2018 I 'found' another one in the new Nederlands Transport Museum. 200+ volunteers working for them, which is an excellent development! 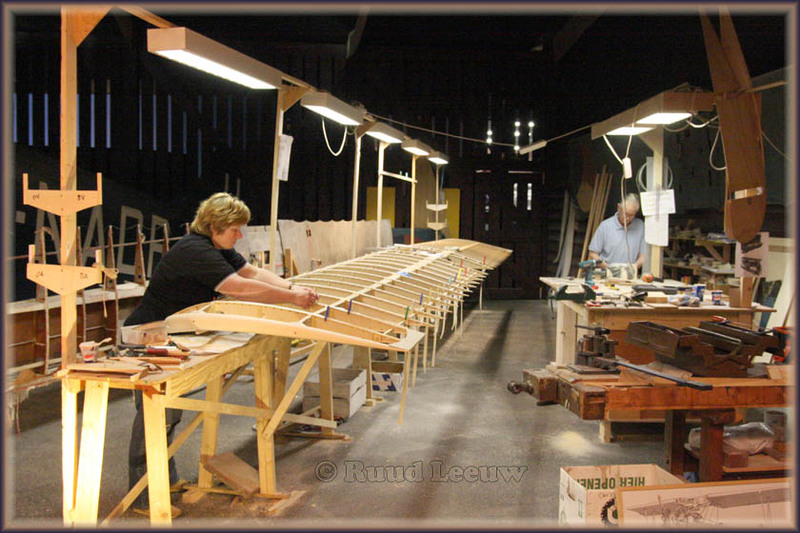 Below sees the steady progress on the 'Van Berkel WA' replica; there is a lot going on here! In 2018 I stood in awe with the finished product! 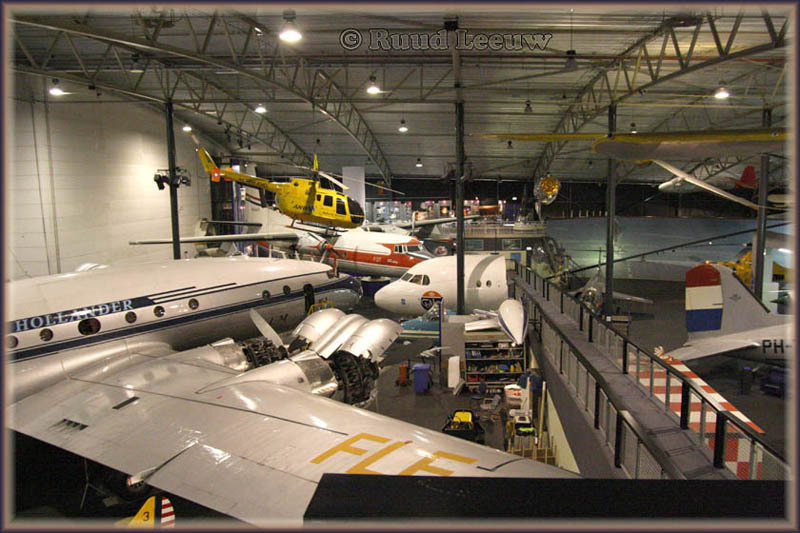 See my Aviodrome 2018 report. 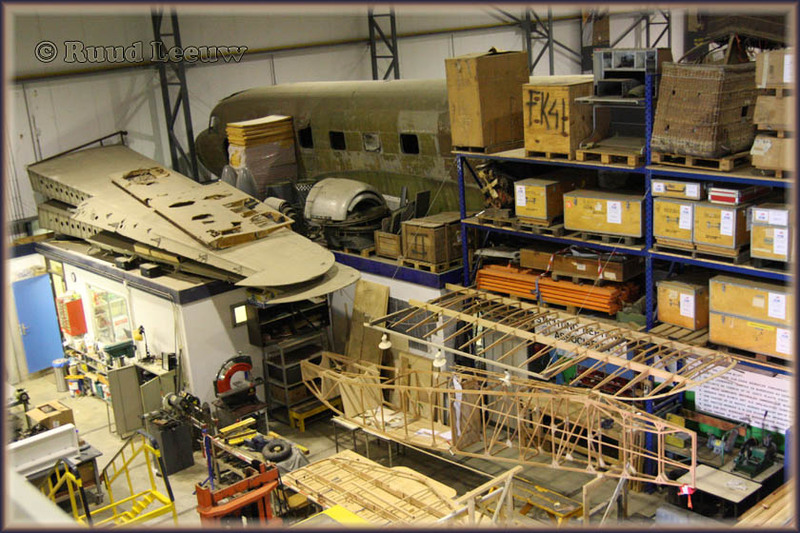 Things have been a little quiet around the Fokker F.27 PH-FHF but this photo clearly shows work on it continues in earnest. 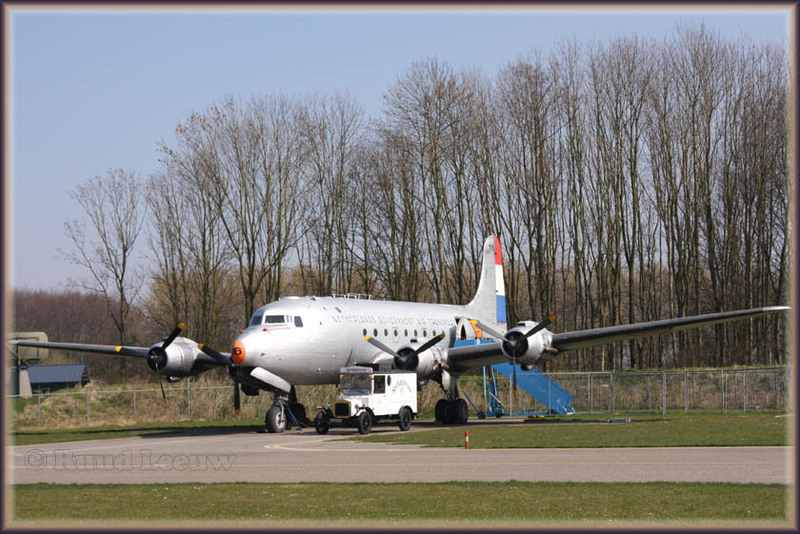 Read about its arrival, as VH-NLS, at Lelystad in 2004. 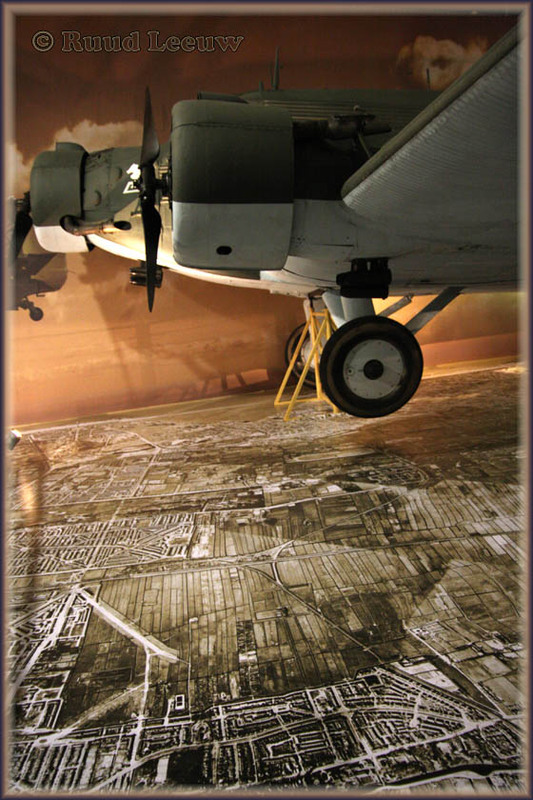 Details of 'PH-ALR' can be read on my 2003 report; it has been moved to the WW2 display outside. It has been a most enjoyable afternoon and these men seem to enjoy the fine spring weather too. Don't be surprised to see men in suits here: the museum also features a conference center. My thanks go to Raymond Oostergo, Joop Boon and Sander Raaphorst for their time and patience. 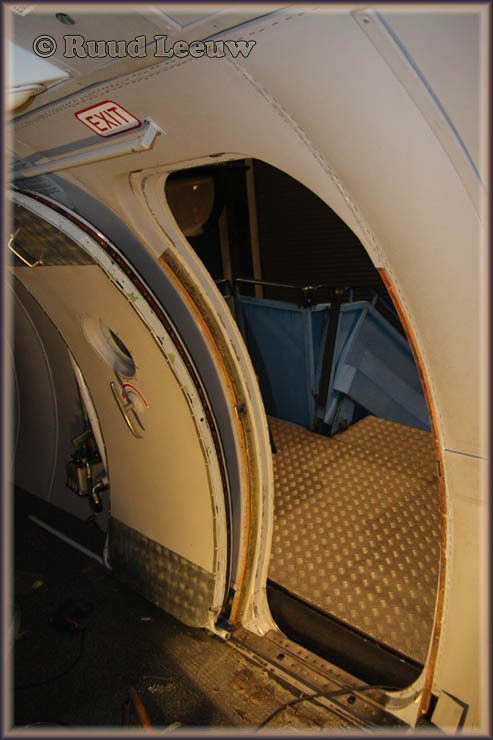 On 4 December 1974, Martinair Flight MP138, a Douglas DC-8 (PH-MBH) flew into the side of a mountain while on landing approach in Colombo, Sri Lanka. 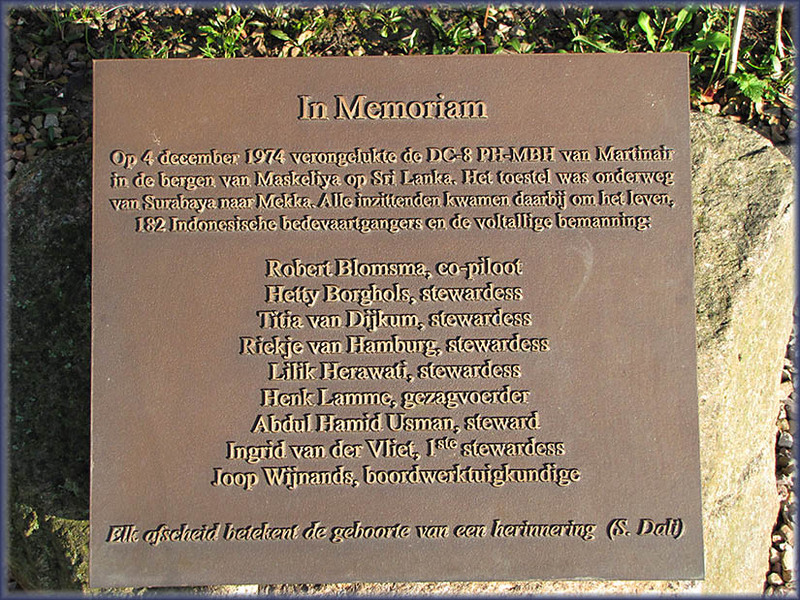 All 191 passengers and crew on board were killed.